An unarmed Mormon missionary fended off two attackers brandishing firearms while on his Mission in Brazil. A security camera caught the altercation that didn’t go how anyone might expect. 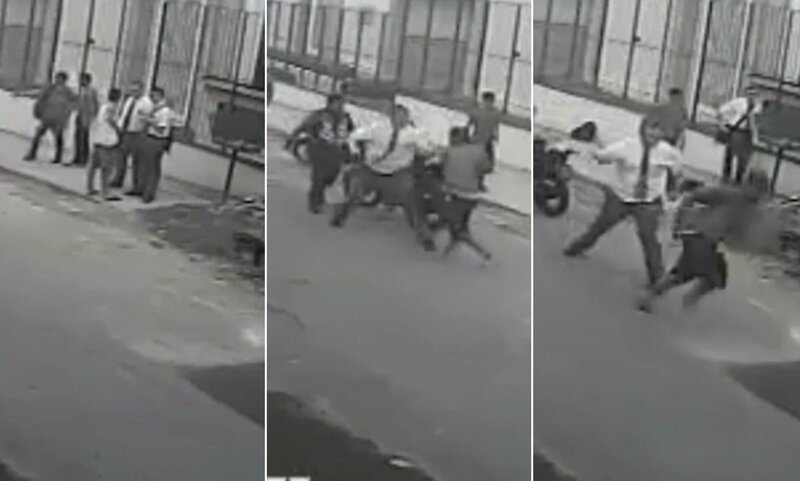 A Mormon missionary fought back after two men appeared to attempt an armed robbery on a street Saturday in Brazil, wrestling a gun away from an attacker in an incident captured on video. The video showed two men who approached on a motorcycle and stopped alongside two missionaries of The Church of Jesus Christ of Latter-day Saints and two bystanders. The man on the back of the motorcycle got off and pointed a gun at the bystanders. When he turned and pointed the weapon at the missionaries, one disarmed him and pointed the gun back at the assailant. The man backed away, but the other assailant then got off the motorcycle and tried to get the gun back. The missionary first held him off, then tossed the gun over a fence. At that point, he and the second man threw punches and wrestled down the sidewalk, across the street to the other side and then into the middle of the street before both assailants fled. The LDS church did confirm that the incident took place, but refused to comment further. Both missionaries involved are perfectly fine. If only everyone was this brave in the face of danger. If you plan to go to a foreign country for any reason, please know how to defend yourself from attackers first. Punks love to prey on tourists, thinking they’re easy targets.